We are continuing their commitment to ensuring the health and welfare of seniors and patients with chronic conditions by making it easier to adhere to their medication schedules. Copies of the trout stocking schedules, including a searchable database, can be found online at PFBC website or the PFBC’s “FishBoatPA” mobile app. A limited number of hard copies of the trout stocking schedules will soon be available in my district office. HB 26 (Snyder) – Automobile Lemon Law/adding motorcycles. HB 318 (Mizgorski) – Telemarketer Registration Act/changes to do-not-call list. HB 350 (Rigby) – Precious Metal Sale Regulation Law. 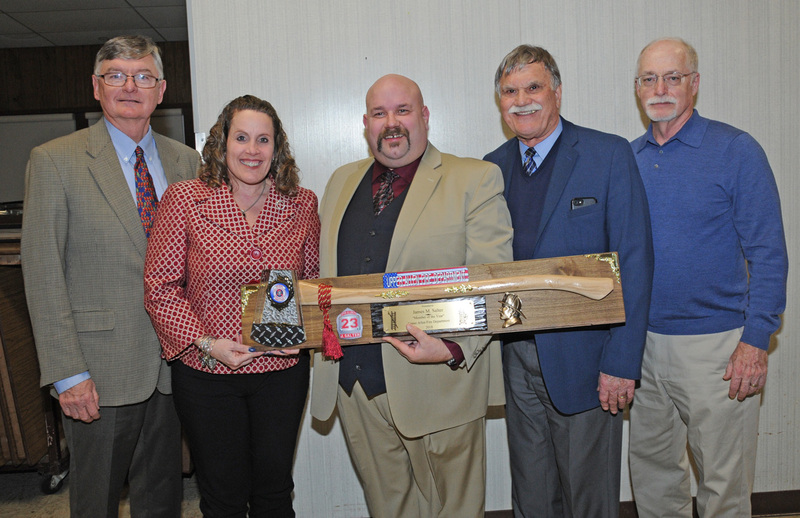 •	The Upper Allen Fire Company held its annual banquet this past weekend. Jack Ritter, mayor of Mechanicsburg, was the guest speaker. Numerous members received awards, including James Salter who was named 2018 Member of the Year. We are fortunate to have such dedicated volunteers ready to help us in times of need. 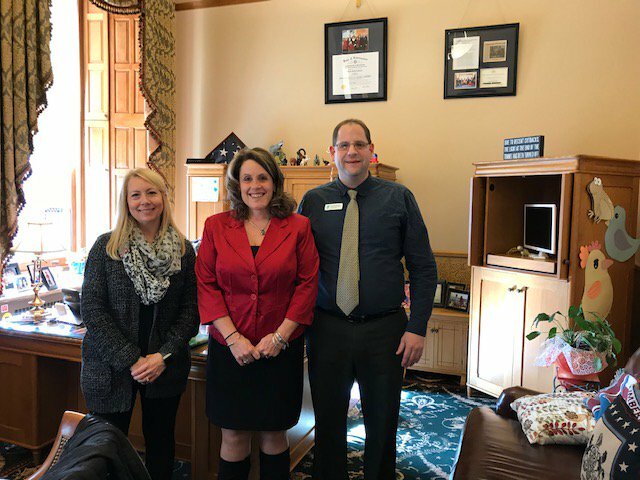 •	Staff from the Harrisburg Area YMCA Center for Healthy Living visited my office to discuss important tobacco control issues in the Commonwealth. No one should be subjected to second-hand smoke. •	This week, I met with the state officers of the Pennsylvania FFA. 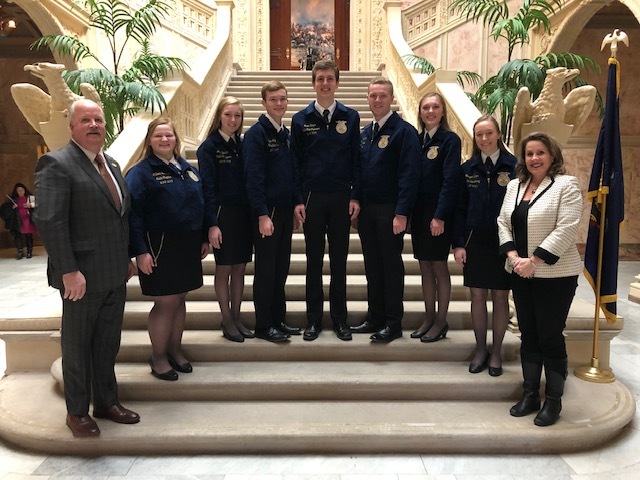 During their visit, the House unanimously passed a resolution designating the week of Feb. 16-23 as “FFA Week” in Pennsylvania. 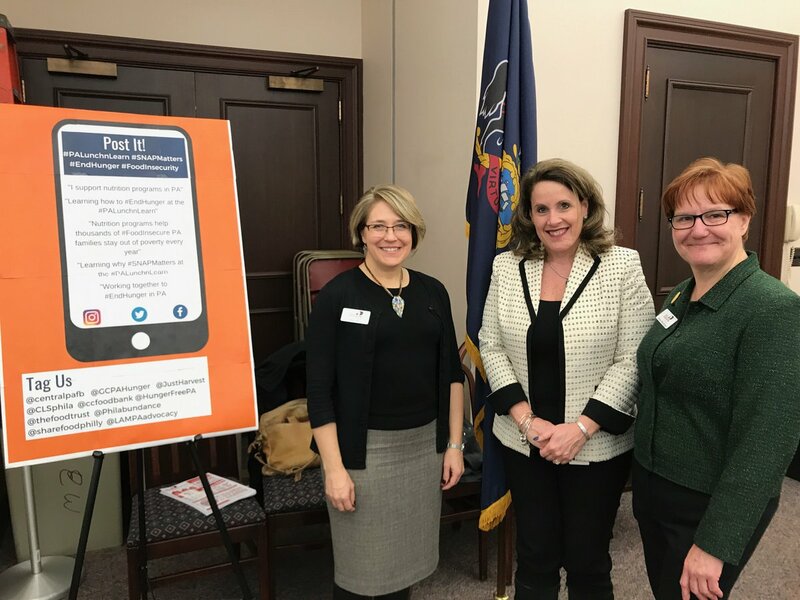 •	The Central Pennsylvania Food Bank, along with Hunger-Free Pennsylvania, hosted an interactive presentation on hunger in Pennsylvania at the Capitol. Thank you to our food banks for all they do for so many in our communities.